RGD Consulting Engineers (RGD), a full service engineering consultant, today announced the relocation and expansion of its Orlando, Florida location. The company provides structural, mechanical, electrical, plumbing and fire protection engineering consulting services throughout Florida, the Caribbean and beyond. “Company culture is part of an organization’s genetic-code, and it’s something that we are very proud of at RGD,” explains President and Principal Engineer, Robert “Bob” Davenport. RGD Consulting Engineers (RGD), a full service engineering consultant, today announced the relocation and expansion of its Orlando, Florida location. The company provides structural, mechanical, electrical, plumbing and fire protection engineering consulting services throughout Florida, the Caribbean and beyond and is widely known for being an early adopter of Building Information Modeling (BIM)/Revit software technology. RGD’s Orlando team mainly services clients with projects in and around North Florida with focus on its hospitality, multi-family, mixed-use, commercial, education, municipality, themed entertainment and healthcare work. 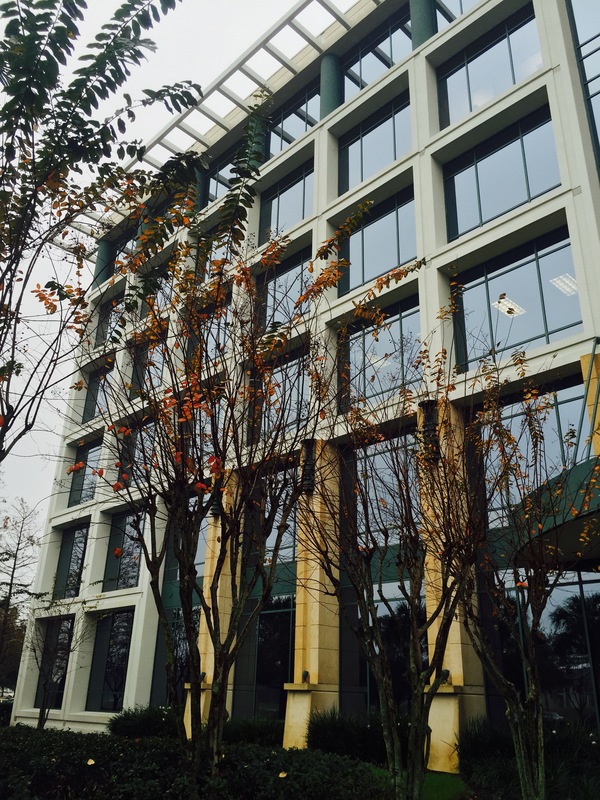 The larger office space allows room for the growing Orlando team, part of the company’s strategy to meet the increasing demand for services in the area. Investment in technology infrastructure allows teams to work on projects collaboratively and in real-time between multiple office locations. Earlier this year, the company announced its move into its new RGD Consulting Engineers Headquarters located in Jupiter, Florida. The new space underwent a large renovation and was designed with company culture in mind. When touring their headquarters, individuals experience an open floor plan concept to encourage teaming, communication and collaboration. A 3,000SF outdoor balcony is the ideal location for office gatherings and industry events. Multiple formal and informal conference rooms and a large multi-purpose game room/break-room for employees and clients to interact fosters relationship building. This same attention to detail was taken into account with the Orlando office design. “We are equally excited for the ability to continue to attract the best and brightest in the industry to join our team. RGD’s office expansions illustrate our commitment and shared vision in being the finest engineering consulting firm in Florida and the Caribbean,” states Nate Davenport, Chief Operations Officer. To learn more about RGD Consulting Engineers, visit http://www.rgdengineers.com or contact the team at info@rgdengineers.com. Established in 1988 by Robert Davenport, P.E., RGD has rapidly expanded over the years by delivering exceptional service; earning it a reputation as a highly dependable engineering firm. RGD provides a complete range of Mechanical, Electrical, Plumbing, Fire Protection and Structural Engineering Services through a highly experienced Engineering & Project Management team fully complying to time, cost and quality requirements of projects. RGD has locations in Jupiter, Orlando and Naples, Florida. Learn more about RGD at http://www.rgdengineers.com.